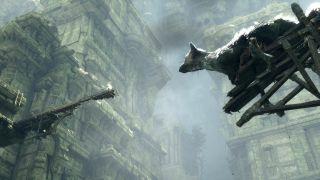 It was ten years in development and it only came out at the beginning of December but The Last Guardian has already received a price cut at several retailers and it looks like it’s permanent. When it launched you could expect to pay around £42 to £50 for the game but now at Amazon UK you can pick it up for just £27 so that's at least £15 cheaper. If you were holding off on buying the game in the run up to the holiday period (it’s not exactly a time known for disposable income) now could be the ideal time to pick it up. The Last Guardian was generally highly praised – in our review we called it a “flawed masterpiece” that nevertheless needs to be experienced. That said, it seems rather early in such a well-received game’s life to be applying permanent discounts. Then again, it did launch in a busy release period and as The Last Guardian didn’t get the chance to take advantage of the discounts other pre-Christmas releases had during the Black Friday period so this could be Sony’s way of giving its sales a boost.